At Fractal Dragon Acupuncture in Lakewood, Colorado, we practice a gentle needling technique and can also do acupressure and Shonishin for the needle adverse and children. Additionally, we use cupping, moxa and moxabustion, far infrared therapy, aromatherapy, and prescribe Chinese herbs. Read more about acupuncture here. Susan Gallagher, Dipl OM, a Licensed Acupuncturist since 2002 has a Masters of Science in Oriental Medicine, is a Certified Herbalist and holds a Diplomate of Oriental Medicine as certified by the National Certification Commission of Acupuncture and Oriental Medicine (NCCAOM). 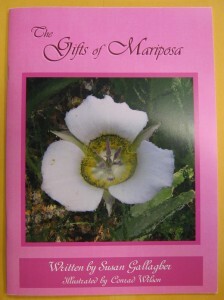 She says, “I was inspired to study Chinese Medicine while running the Los Angeles Marathon in 1999. I believe that acupuncture and other modalities can help us live an optimal life, regardless of challenges, obstacles, or good fortune. 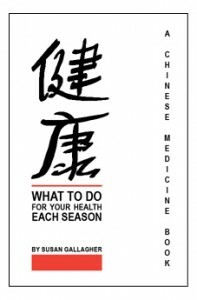 I wrote What to Do for Your Health Each Season: A Chinese Medicine Book because I think you can live each season and year of your life healthfully and joyfully.” Read more about Susan Gallagher here. We are in network with several insurance companies including: Blue Cross Blue Shield, Kaiser Senior Advantage Plan (Healthways), and United Healthcare. We also participate in discounted programs with Aetna and Cigna, when applicable.